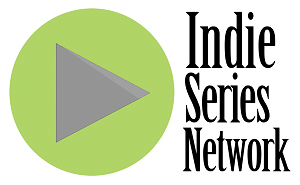 The results are in from the Indie Series Network's Web Series of the Week (#WSOTW) poll for May 2-8, 2015. Family Problems was voted favorite web series for the week. A new episode of Proper Manors was second, followed by the latest from Real Mommy Confessions, Double Agents and The Misselthwaite Archives. The acting favorites were Family Problems' John Samela and Wendy Hartman, and the favorite couple/duo was Christina & Alexander from Family Problems. John Samela (Chief Alexander Hudson in Family Problems) was voted Favorite Actor for the third week in a row. Wendy Hartman (Detective Rebecca Ellison in Family Problems) was voted Favorite Actress for the fourth week in a row. The Favorite Couple/Duo again this week was Christina & Alexander from Family Problems. Thanks so much! This was the first scene shot in which I played Rev. Holder. As a stage actor with decades of experience, it was gratifying to play such a rich screen role and reach a larger audience. I am honored to have now worked with so many fine screen artists in the series Proper Manors.